The presence of millions of tons of radioactive waste in our Great Bear Lake environment, which we regard as our source of food and spiritual nourishment. "We the Dene have been subjected to over 60 years of horrible injustice because of apparent national interests. Our people have paid for this with our lives and the health of our community, lands and waters. We have set out a 'Plan for Essential Response and Necessary Redress'. It is a constructive and minimum response to the ongoing impacts of uranium mining on the Dene people and lands". People in Deline think they may have found some hard evidence to explain a series of premature deaths among friends and family. During a March 21 and 22 workshop, Deline residents heard results from the Deline Uranium Committee, which has researched the issue since 1996. "For the first time they're getting independent information outside of government, completely truthful information," said committee chair Cindy Gilday of the research compiled by doctors, scientists and lawyers from Vancouver to Montreal. "What the people want to do with it is up to them." Uranium mining at Port Radium, across Great Bear Lake, between 1942 and 1960 exposed workers to the high levels of radiation. For $3 a day, Dene workers hauled and ferried burlap sacks at what was the world's first uranium mine, and at least 14 workers have since died of lung, colon and kidney cancers, according to documents obtained through the NWT Cancer Registry. Declassified documents from the eventual buyer of the uranium, the U.S. government, show the danger from uranium was known when the mine was operating. 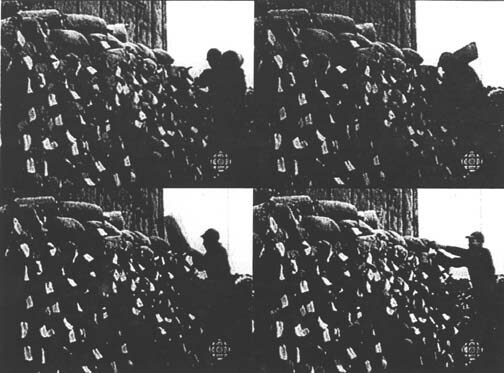 But neither the U.S. nor Canadian governments shared that vital health information, so both aboriginal and non-aboriginal workers treated the uranium casually, often sleeping on the sacks or putting bits of ore in their pockets. A 1991 federal aboriginal health survey found Deline reporting twice as many illnesses as any other Canadian aboriginal community. But the death rates are comparable to the NWT average, probably due to higher rate of smoking in the Eastern Arctic, says NWT chief medical officer, André Corriveau. "The rates of smoking in Nunavut are quite a bit higher actually," he said, estimating 70 per cent of Nunavut people smoke compared with about 50 per cent in the West. With people now learning they were not informed of the danger of exposure, Gilday said Deline's options lie across the board. They could call for a public inquiry or environmental assessment, or launch a lawsuit against the Canadian government, which ran Port Radium as a Crown corporation, Eldorado Mining and Refining. A short-term preventative measure could be to abandon the area, but Gilday swiftly rejected that measure. "Where would they move? This is their home. This is tens of thousands of years of living on Great Bear Lake," she said of the 600 people who live on the world's fourth largest in-land lake. "Their home has been poisoned by someone who is (supposed to be) a responsible party." The federal government has initiated environmental cleanups, though radiation hot spots still remain. "It's a huge lake so even if there was a local source of contamination, it would be unlikely to have a measurable effect across the lake or everywhere," said André Corriveau. "There may be local hot spots, especially for bottom feeding fish." A legal case won't be any easier to mount. Scientists agree there is no safe exposure level to radiation but linking exposure levels to cancer in a specific case is difficult, Corriveau said.